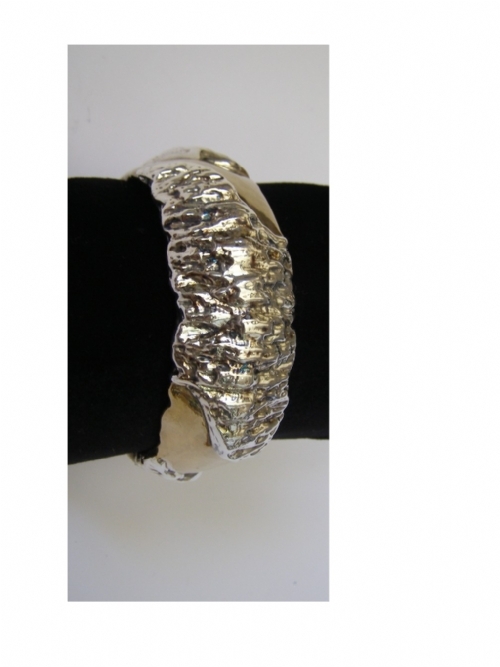 Sterling Silver bangle bracelet. 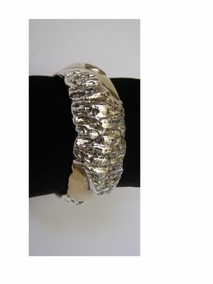 This item was made in the electroforming method.A fine artisan sterling silver scrolls and pines bangle bracelet. A beautiful sharp edged round design with delicate scrolling and pines decorations engraved on either sides of a curling line engraved at the middle of the bracelet. This item was made in the electroforming method. 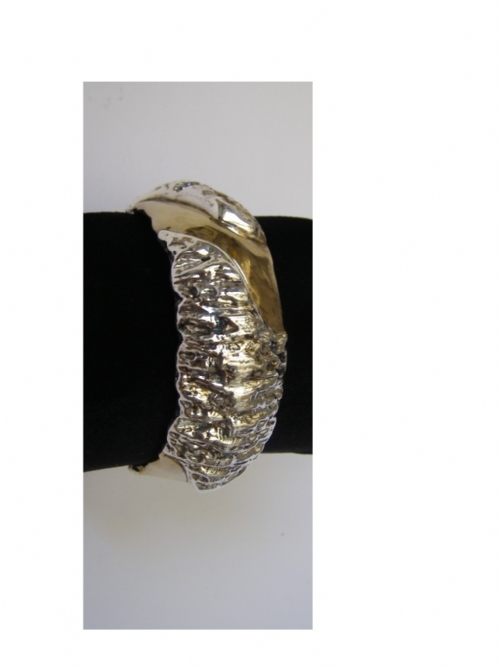 It is bound to make a wonderful and unique gift to any friend, or a superb addition to your jewelry collection. Measurements: Circumference: 8.1in. / 20.57cm. Width: 0.2in. / 0.508cm. Thickness: 0.2in. / 0.508cm. Weight: 13.55gr. / 0.436oz. Marks: 925 for Sterling Silver.